As a Winter Park attorney focusing on Elder Law, I often deal with my clients’ children, and the same questions always come up. 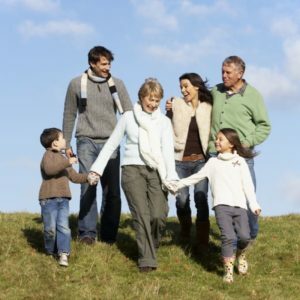 Frequently, after a parent has passed on, their children will ask me why they didn’t receive any inheritance from the estate plan their mother or father created with me. If only one parent has passed while the other is still alive, the answer is usually simple: the money is first inherited by the spouse. When married people create an estate plan, they almost always ask for their money to go to their spouse if that person is still alive. This is usually the best plan since they want to make sure that their husband or wife is taken care of. If they still have young children, they also want to enable their spouse to comfortably provide for them. In some cases, children under 18 might receive money in the form of a trust, but often the spouse or another adult is still put in charge of it until the child becomes an adult. As for adult children, it’s extremely rare to receive any kind of inheritance until both of your parents have passed away. This is not intended as a slight by your deceased parent. Instead, it helps to ensure that the needs of your living parent are not a burden or concern for you. If you’d like to know more about estate planning and inheritance law in Florida, contact a Winter Park attorney today.